Every child deserves to : run wild and free; dance amongst the wildflowers swaying in the warm summer breeze. ; taste the sweetness of wild berries. 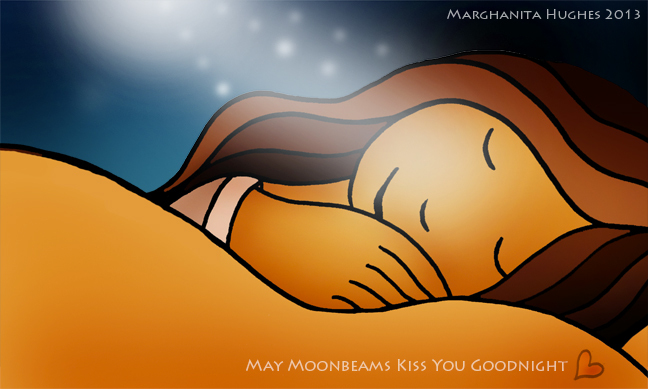 ; melt into a sunset and drift off to sleep having been kissed by moonbeams. 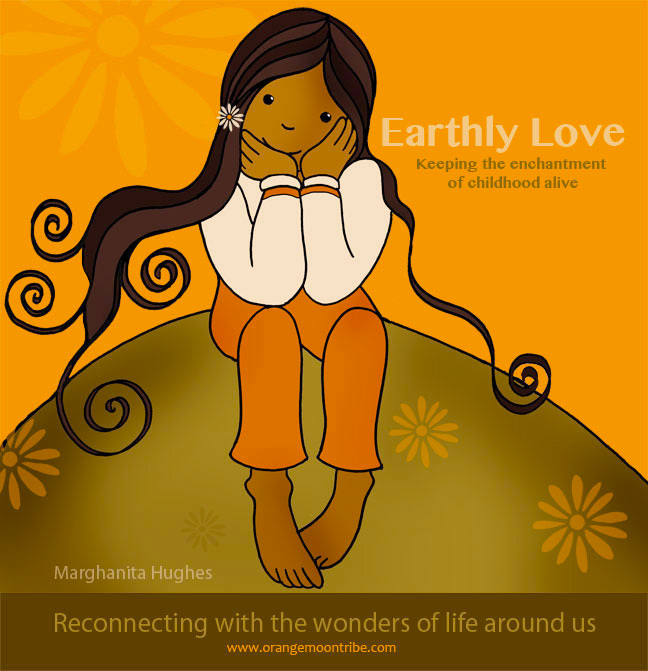 “Earthly Love” is my new Orange Moon picture book and hope to have it published by late Summer…will keep you posted! 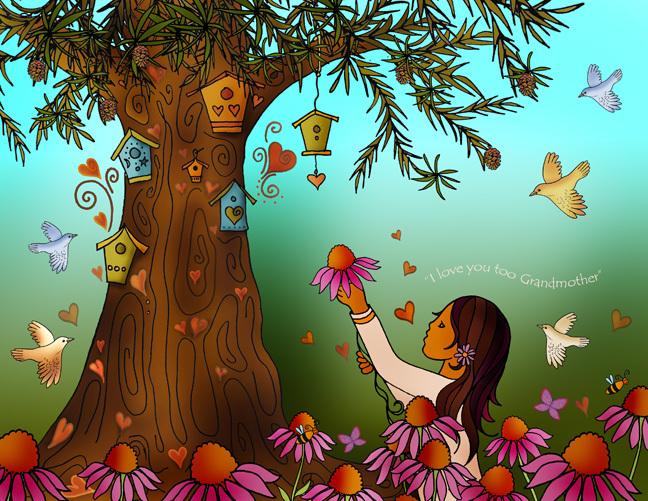 At bedtime I sat down to read Orange Moon and the Grandmother Tree. Elloise, otherwise known as Orange Moon loves to play outside anytime of the year, but especially summer. 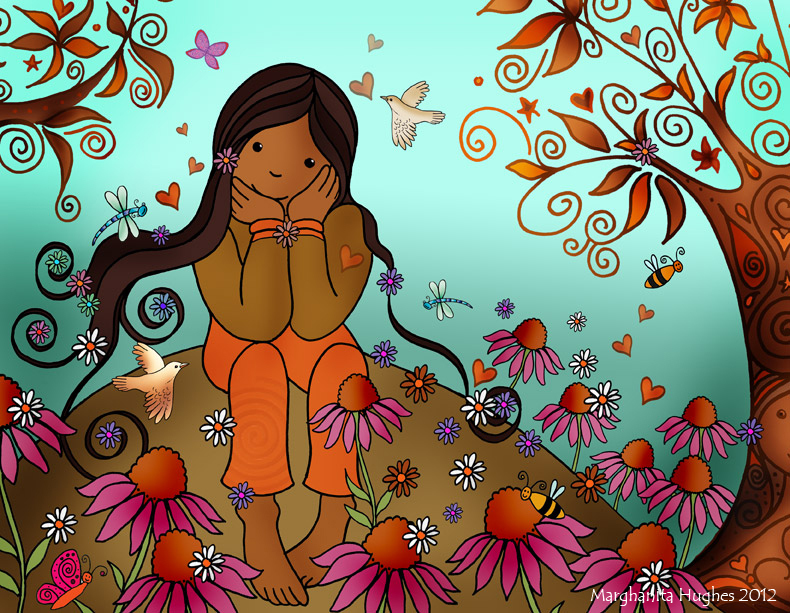 Reading the story aloud to myself brought to life the healing power of love.